Whenever new technology comes along it is often met with skepticism and doubt, and in most cases this is warranted. Usually technology takes a bit of “fine-tuning” if you will before it’s really as good as the promises claim. 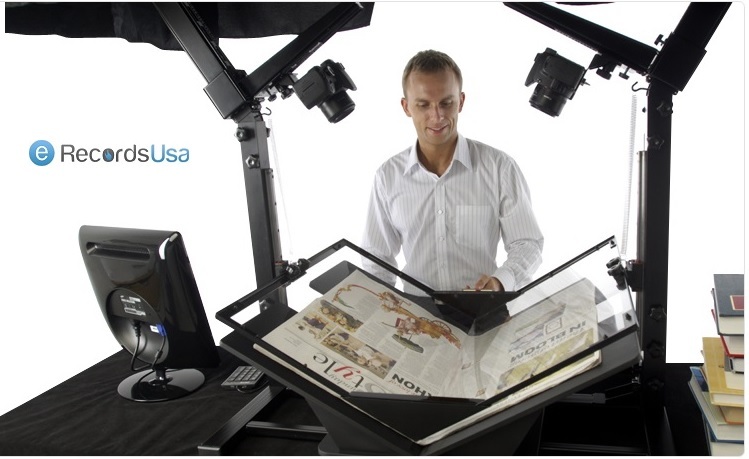 Newspaper imaging services is an industry that has come leaps and bounds when it comes to the quality of the technology and software used in the scanning process. An industry that may have produced results that were less than perfect is now offering incredible quality images. Now when talking about newspaper imaging services it's important to point out this is not your average scanner that you've bought at a big-box store and are now using to scan pages.Instead the equipment used by these service providers is cutting-edge and is able to reproduce every single detail of the page. Text is sharp, bright, and there is no graininess to be found. Another problem that newspaper scanning this type of document poses is the sheer size of each page. Newspapers are the typical paper size, which again is why your average scanner just isn't going to cut it. Newspaper imaging services make use of scanners that can handle large formats and then convert it with ease. High quality document scanning service providers will also offer OCR software, which makes it possible to then perform a text search within the digital copy. This is a feature that readers can really appreciate. While you may want to move forward imaging issues in the future, it’s also a great way to deal with all the archives. Instead of keeping the physical paper versions of the paper, that are vulnerable to wear and tear, you can have all that content converted into a digital PDF form that can be stored in the Cloud or on a DVD/CD. eRecordsUSA offer Newspaper Imaging Service in following areas of California, San Francisco, San Jose, Redwood City, Santa Clara, Marin, Mountain View, Silicon Valley, San Mateo, Sunnyvale, East Bay: Milpitas, Contra Costa, Concord, Pleasanton, Livermore, Oakland, Fremont, Hayward, Alameda, Dublin, San Ramon, Napa Valley: Petaluma, Sonoma, Pittsburg, Santa Rosa, Vallejo, Fairfield, Solano & Martinez.